designed by Frederick Colin Tilney, made by John Waddington Ltd c.1925. 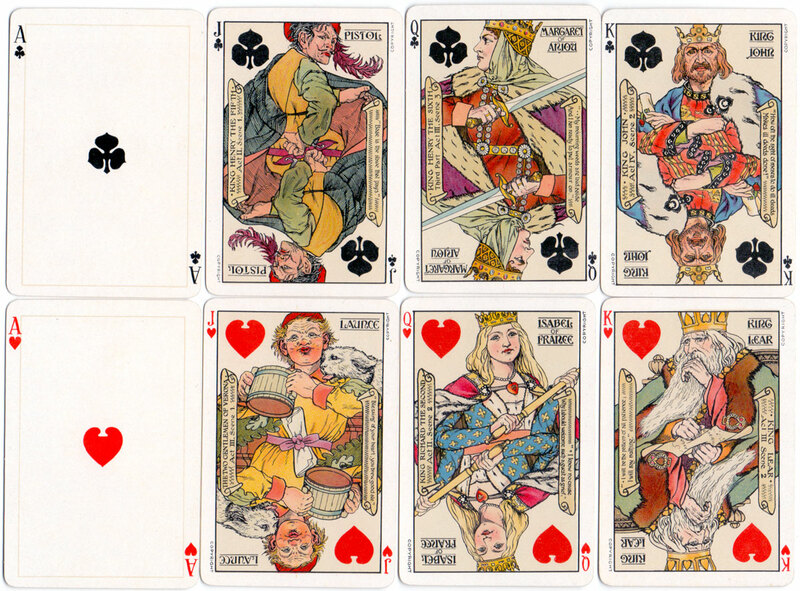 The characters of the court cards are chosen from Shakespeare's plays and are arranged into the four suits as follows: Hearts for the gentler emotions; Diamonds for wealth or greed; Clubs for aggressiveness and strife; Spades for the tragic methods of schemers. The quotation on each card consists of words spoken by the character depicted, and the phrases have been chosen with a view to the temperament and the leading episode of the character; at the same time being applicable to the hopes and fears involved in card-playing. 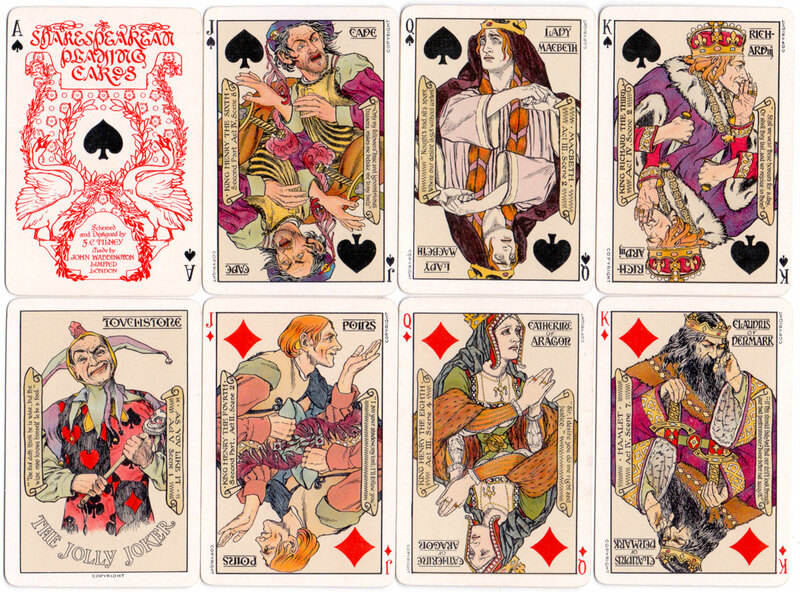 Above: the first edition of Shakespearean playing cards, designed by the author and illustrator Frederick Colin Tilney, made by John Waddington Limited c.1925. The pack includes a Joker card impersonating Touchstone plus an explanatory leaflet. 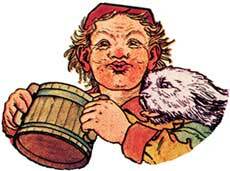 The Ace of Spades bears laurels in the form of a lyre. 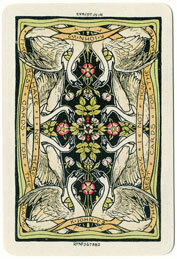 Above: a later edition of Tilney's Shakespearean playing cards, published by Waddingtons Playing Card Co. Ltd as a 1978 desk-top calendar with the calendar for one week of the year on the back of each card along with a quotation from one of Shakespeare's plays. 52 cards + 2 jokers.